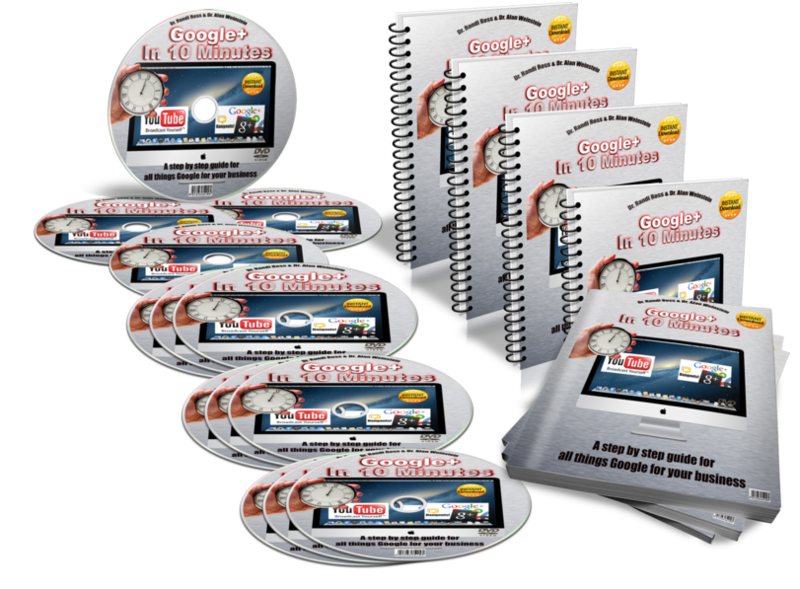 Announcing the ultimate step by step guide on how to use Google for your business. The brainchild of Dr. Randi I. Ross and Dr. Alan Weinstein, having literally taken every single Google hangout program they could find on the internet, whether its in YouTube or on Google+ itself and finding they are just too difficult, wanted to put something together for the beginner or advanced Google+ user that can be used as a reference guide to get up and running in 10 minutes or less. It’s a simple step by step guide where they literally hold your hand and walk you through everything from how to get a Google email address and how to make money using Google+ Hangouts. Co-Creator, Dr. Randi Ross, has been the host of her own weekly Google+ Live Hangouts on Air show for over two years. An authority for the last 25 years on building relationships to grow your business, her weekly show has attracted guests from all levels of business expertise. Her unique ability to turn complex technology into simple, easy to follow teachings has made her the perfect companion to create this amazing learning experience. Dr. Ross has developed the most comprehensive approach to show you how to use Google+ for your business. Her partner, Co-Creator Dr. Alan Weinstein, is probably one of the most recognized faces on Google+ Live Hangouts on Air. He has personally either started or participated in over 1000 Hangouts. He was one of the first people to monetize Hangouts by charging admission to attend one of his Hangouts and was also one of the first people to sell advertising promotions on his Hangouts. He is often seen as a regular guest on Alex Mandossian’s weekly Marketing On Line Hangouts, as well as a guest host for Alex when Alex is on the road. Complete with step by step videos and transcriptions of those videos, MP3 audio files, notes and easy to follow flow charts all included in their 85 page downloadable manual with built in links to all the materials makes this program, Google+ In 10 Minutes the ultimate how to do a Google+ Hangout user friendly guide. If you have ever taken a Google+ or Google+ Hangout course on your own and felt like you don’t know any more than when you started, make sure to check out Google+ In 10 Minutes.